Schweizer Pärke für alle (Swiss parks for all) – the parks are striving to achieve an inclusive society. They are improving information on the accessibility of tourism offers so that disabled people can also plan their trips to the parks independently. Park management bodies are raising awareness of accessibility among staff and partners and developing accessible tourism offers to enable everyone to discover nature and culture while enjoying a high-quality experience. 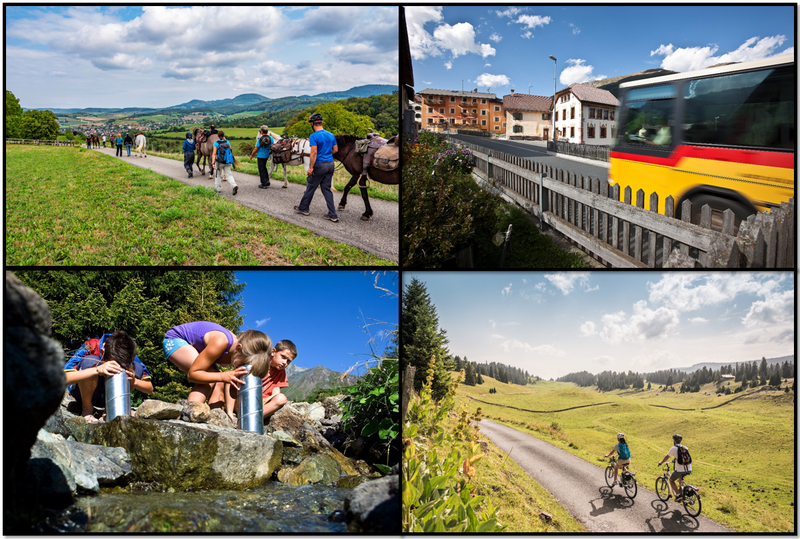 Destination Nature – a strong partnership for gentle mobility. All tourism offers in the parks can be reached by public transport but it is not used often enough. In order to boost public transport use, the parks are working with regional railway companies (such as RhB and BLS), PostBus and nature conservation organisations (VCS, BirdLife) to develop and market attractive public transport packages and highlight the benefits of travelling by public transport.